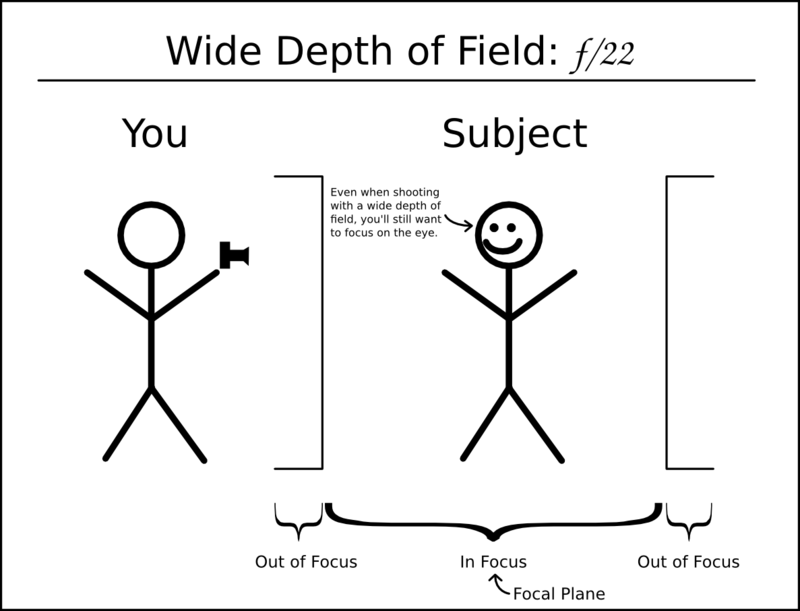 Depth of field is the width of the focal plane in an image, i.e. how much of it is in focus. 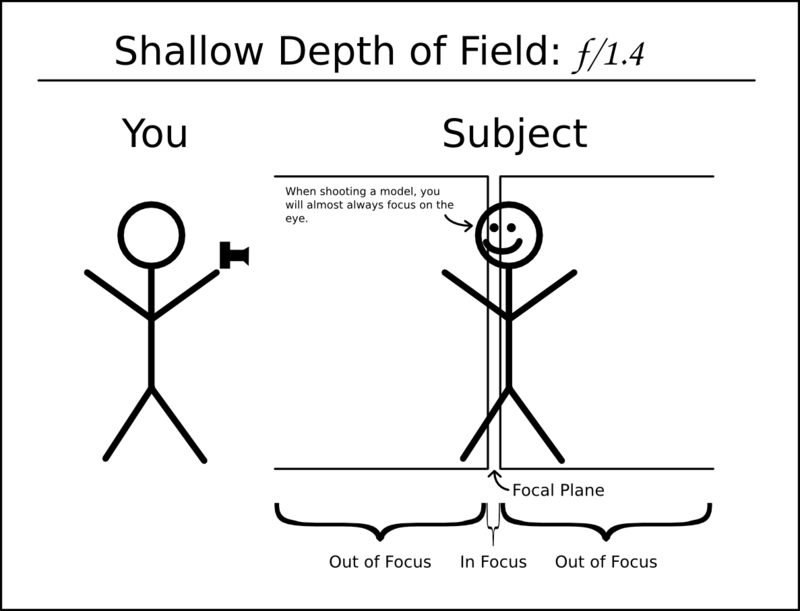 A very shallow depth of field means that only a small sliver of what's in front of you will be in focus. A very wide depth of field means that almost everything will be in focus. Depth of field is controlled by your Aperture, but unlike the amount of light, it's directly proportional to the f-stop, i.e. as the f-stop goes down, the depth of field gets shallower and as the f-stop goes up, the depth of field gets wider.